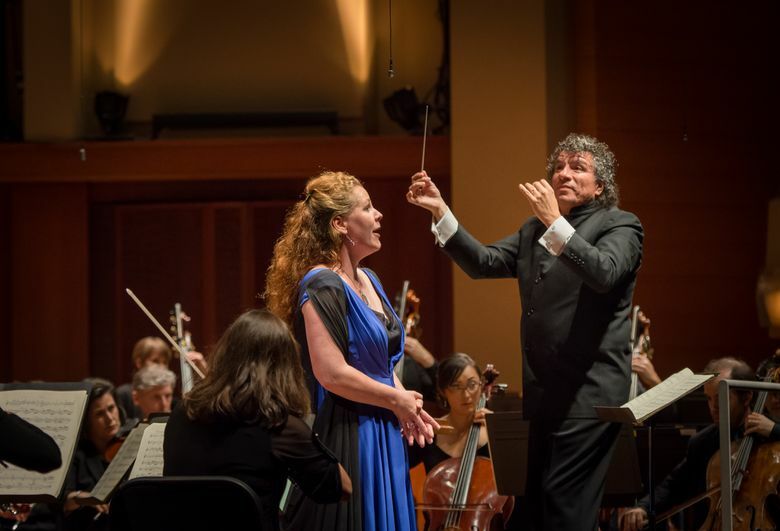 Conductor Giancarlo Guerrero, subbing for an injured Ludovic Morlot, brings charisma and intensity. With Giancarlo Guerrero conducting, Mahler’s Symphony No. 2 (“Resurrection”) and Berlioz’s “The Death of Cleopatra.” Repeated at 8 p.m. Sept. 23, and 2 p.m. Sept. 24, Benaroya Hall; from $22 (206-215-4747 or www.seattlesymphony.org).